When you talk about growing fruits and vegetables in your garden, tomatoes will immediately come to mind. This fruit is one of the most commonly grown plants. Although there are thousands of edible fruits and vegetables that can be grown in your garden, tomatoes are one of the top favorites. They can be produced in a short span of time, plus, they are pretty easy to grow successfully. Whether you are planning to eat them on their own, use them as an ingredient in your favorite dish, or turn them into a sauce, nothing beats growing your own tomatoes. There are so many ways to preserve tomatoes, that growing an abundance is always great! 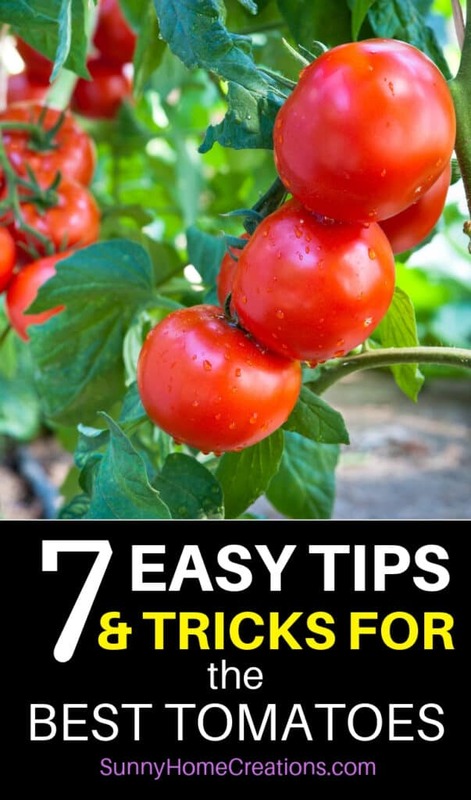 But, to make sure that you get the freshest, juiciest, and biggest ones, here are 7 tips to keep in your mind when growing tomatoes. If you opt to start growing tomatoes from seed, you need to give the seedlings plenty of room to grow and to branch out. You have to separate the strong ones from the weak ones. This means you need to place one strong plant per small pot or cell. Snip the smaller and the weaker seedlings and maintain the best ones. Placing the seedlings in crowded conditions will inhibit their growth. This will stress the plants and that will eventually lead to diseases or death. In order to grow, tomatoes need strong and direct sunlight. 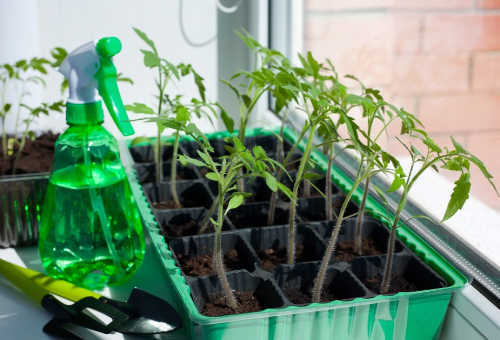 To ensure that the seedlings will grow stocky, place them in an area of your home where they can get at least eight to ten hours of sun a day. However, if you are growing tomatoes during winter, there might not be enough sun. Placing the plants near a sunny window may not be sufficient to get enough natural light. In that case, the best option is to use artificial plant lighting for 12 to 16 hours a day. When planting the tomatoes directly onto the garden bed, plant them deeper — all the way to the top few leaves. Once you bury the stems, the plants will develop roots along their stems. The more roots the plants have, the stronger they will grow. To develop strong stems, the tomato plants have to move along the breeze. This will happen naturally when planted outside. However, if you are planting them in containers or keeping them indoors, you need to provide an alternative type of circulation. You can create a breeze by turning the fan on for about five to ten minutes, two times a day, for a GENTLE breeze. Once your tomato plant reaches 3 feet tall, get rid of the leaves at the bottom part of the plant. These are the oldest leaves of the plant and most likely the first ones to develop fungus. As the tomato plant grows, the bottom leaves are getting the least amount of airflow and sun. Removing these leaves can prevent fungal problems and other diseases. Do you see those small stems developing in between the two larger branches of the plant? You need to get rid of them. Pinch and prune the smaller branches that grow between the larger, stronger branches. They don’t bear any fruit, yet, they take nutrients and energy away from other parts of the plant. Put your waste to good use. Use coffee and eggshells to feed your plants. Coffee grounds provide nitrogen to the soil. They can also repel snails and slugs that feed on the leaves and fruits. 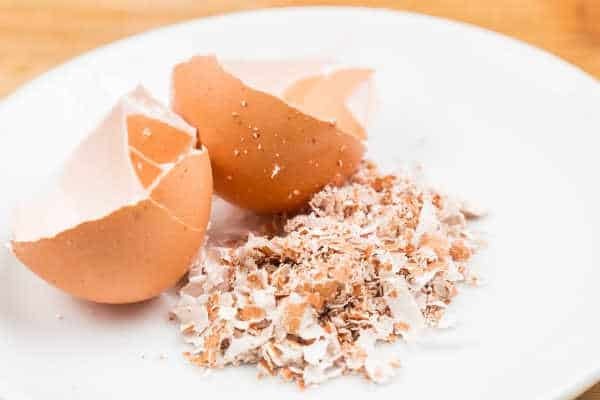 Eggshells add calcium to the plant. They aid in regulating the moisture intake and prevent blossom end rot, a common tomato problem. Take your coffee grounds and eggshells, put them in the blender, then make a slurry. Mix the solution into the soil. Growing tomatoes may be easy, but growing the huge, juiciest ones may take a bit of effort. Make sure to take your time in planting your tomato plants to get the best of them.